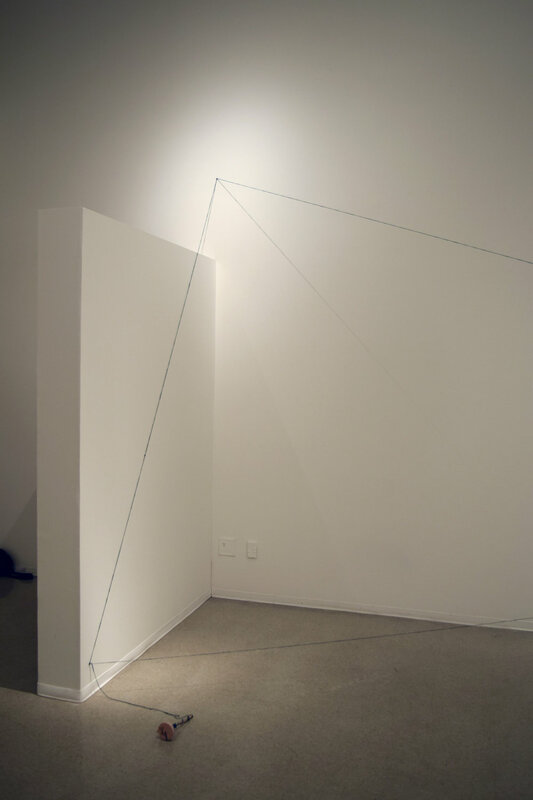 Crisp lines stretch taut from wall to wall, mapping out a space within a space. 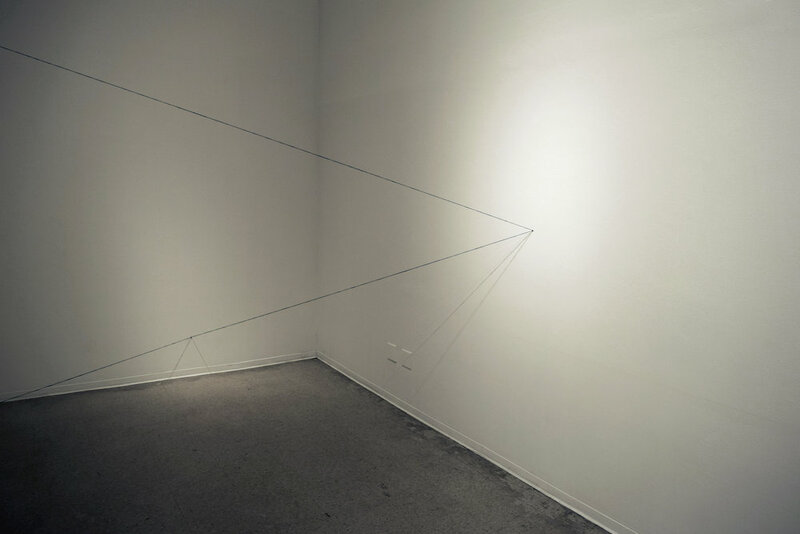 This work encourages viewers to move between and through the implied planes that subtly imply divisions of space. 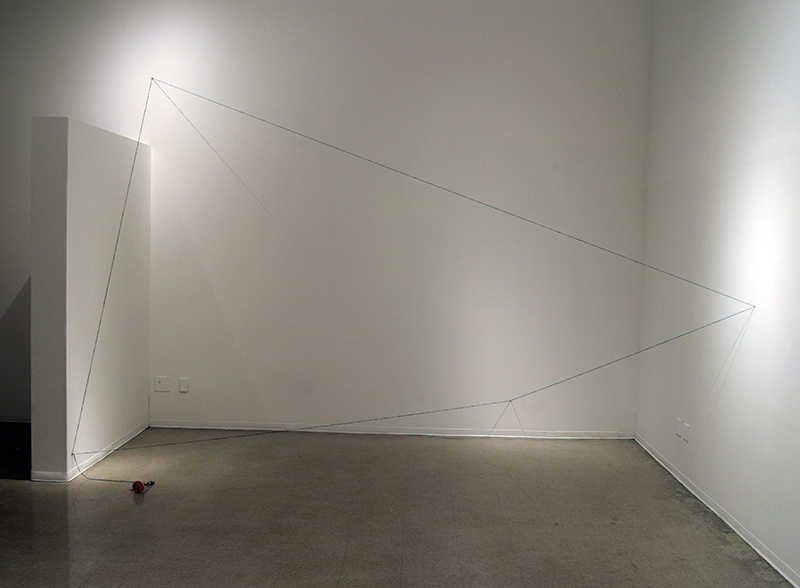 Informed by a grounding in mathematics, I am naturally drawn towards geometric features and creating planes in space. 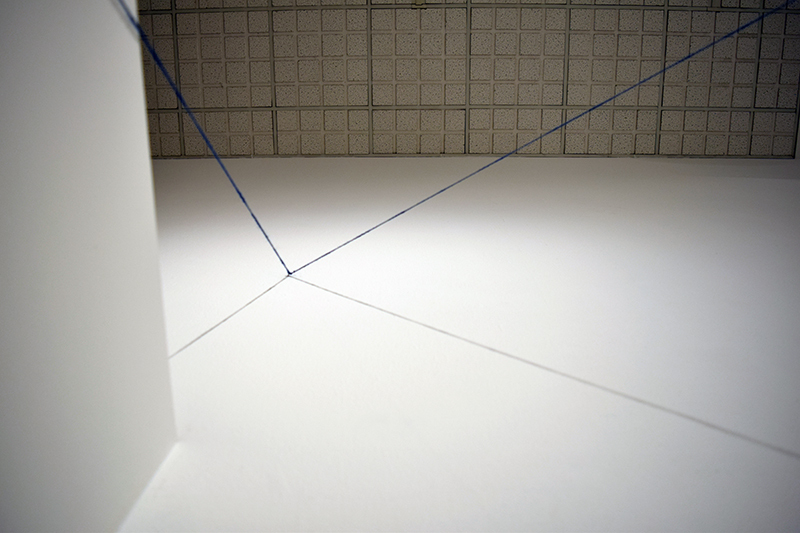 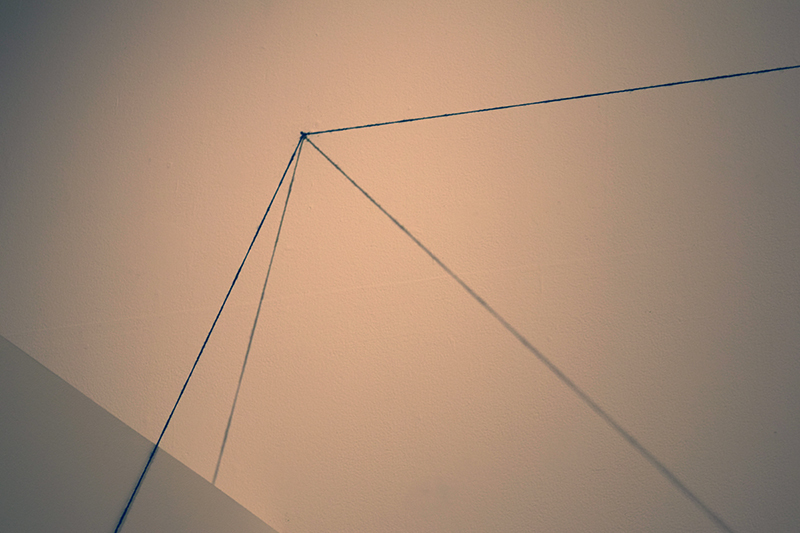 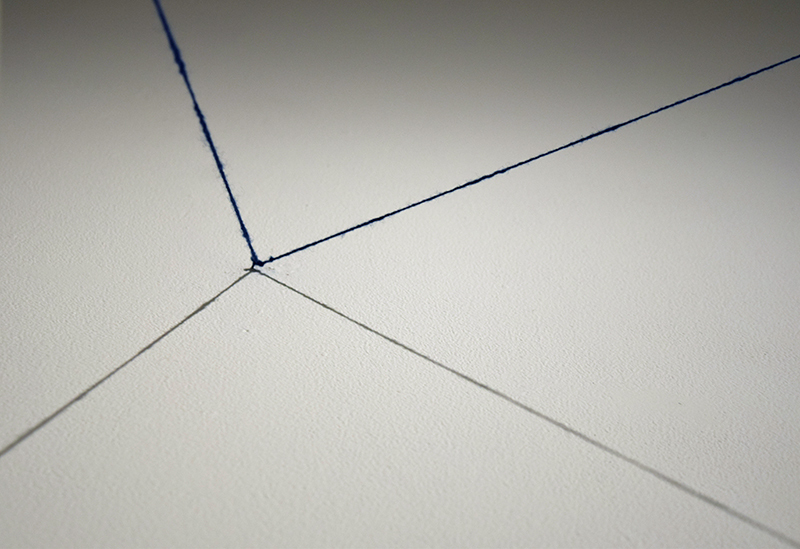 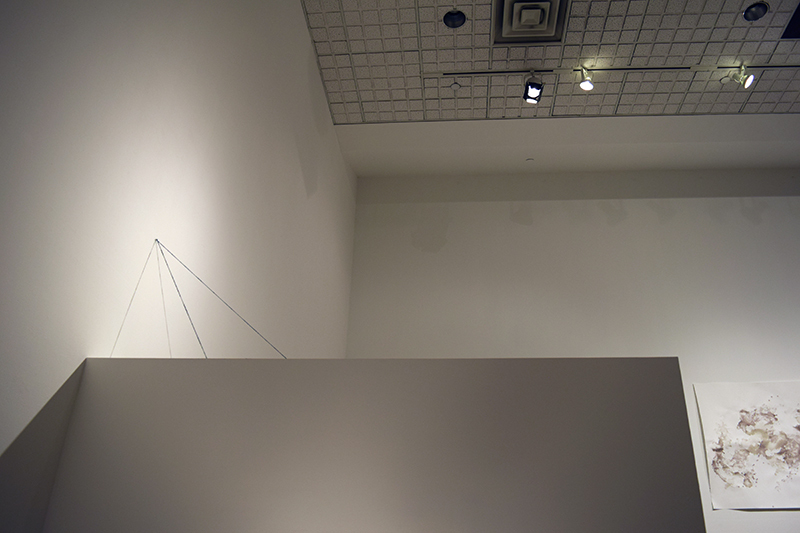 Minimalist artists such as Sol Lewitt and particularly Fred Sandback, who utilize clean lines and geometric proportions in their work, have provided both visual and conceptual cues. 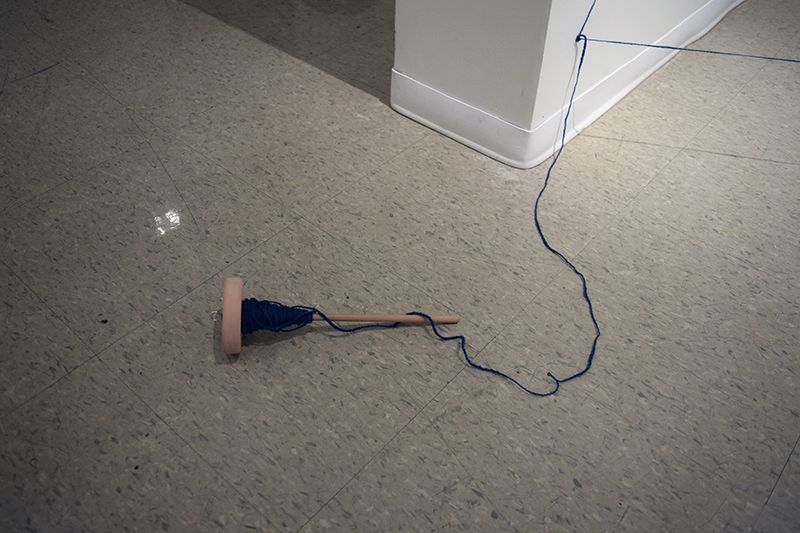 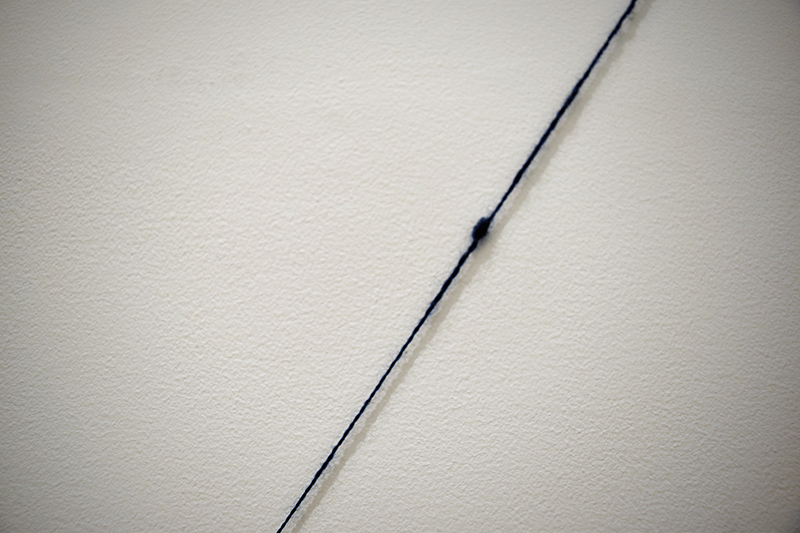 I employ hand-spun and hand-dyed yarn as both a sculptural material and historical grounding. 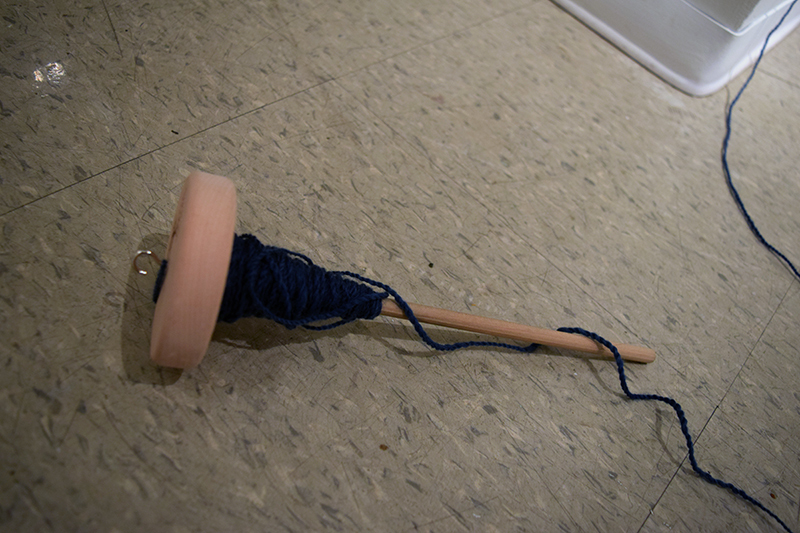 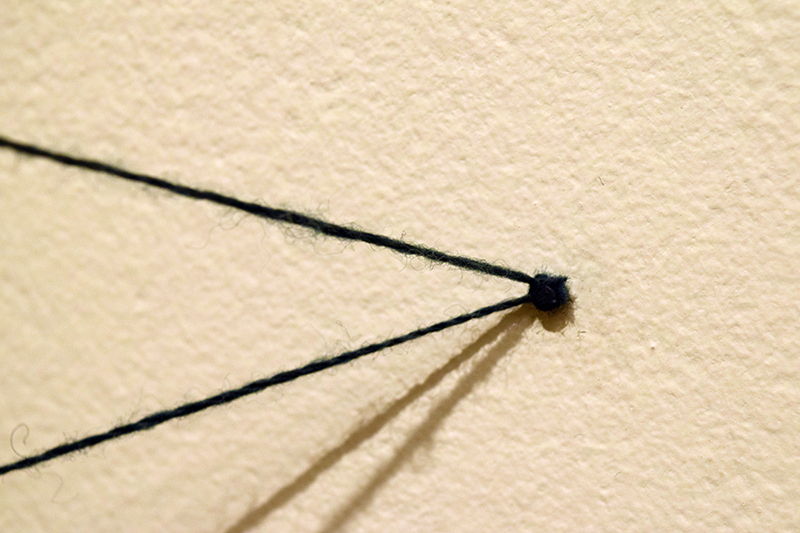 Making use of an early form of technology, the drop spindle, I explore notions of focus and cogitation, uncovering the precise attention needed to spin. 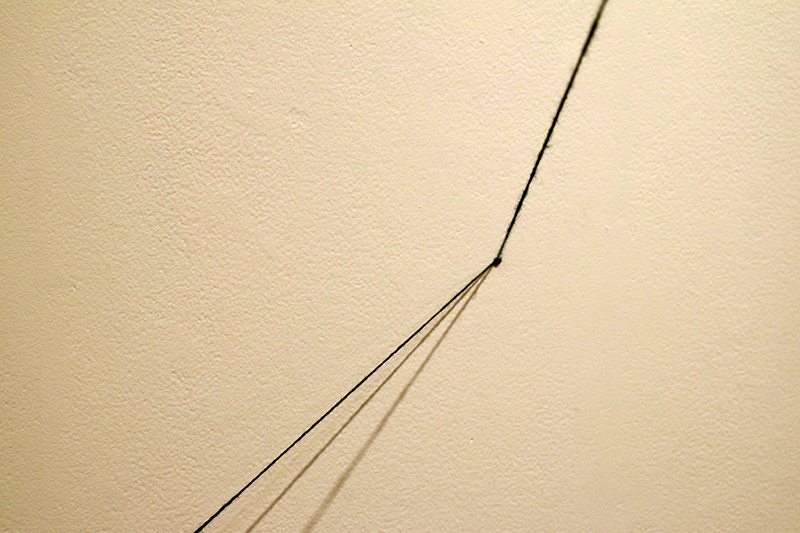 Craft becomes a means of art-making, blurring the hierarchical lines of art and craft.